I underwent a procedure in the Apollo Cradle. The doctor in charge was Dr Geeta Chadha. The atmosphere was relaxed and calm. The services provided by the hospital were great and worth the money spent. I am so grateful to Apollo Cradle for giving me this amazing experience. My entire experience in the Apollo Cradle is nothing but a great one. Thanks to Dr Geeta Chadha, the delivery of my baby went smoothly and without any complications. The nursing staff was gem and took amazing care of my baby. Thank you, Apollo Cradle team for showing that you care for your patients more than anyone else. What a wonderful experience I had in the Apollo Cradle. The process was completely supervised by Dr Geeta Chadha and went without any hassles. On top of that Apollo Cradle offers great services. The support staff is always there to help you whenever you need them. You really are awesome. I will surely recommend Apollo Cradle to all my friends and family. I came to Apollo Cradle for my delivery under Dr Geeta and had the most comfy experience here. The staff here does every little bit to make you feel at ease during your stay. They are kind and very responsive. I am impressed by the hygiene that is maintained here. I extend my regards to Apollo and its staff for making the experience of delivery much more comfortable. Apollo Cradle was recommended to us by a family member and we thus chose it for my delivery. My experience here was great. We didn’t face any inconvenience during our stay here. 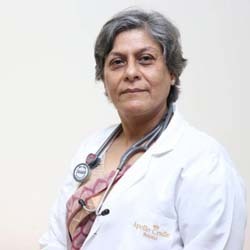 The staff is well-behaved, especially Dr Geeta Chadha and the environment is homelike. I would surely recommend it to family and friends in the future! Good work, Apollo Cradle. I came to Apollo Cradle for my delivery and I can say without a hint of doubt that this place offers great services. The admission procedure wasn’t time-consuming and the front office staff was also soft-spoken and skilled. Dr Geeta Chadha is very kind and knowledgeable. She addressed all my issues. The nursing and housekeeping staff put all their efforts to make me feel at ease during my stay. I would surely recommend. Apollo Cradle is a home away from home! The staff here extends care and love similar to what you receive at home. From Dr Geeta Chaddha to nursing and housekeeping, the staff here is very efficient and their commitment towards their duties is commendable. They are responsive and cater to all your needs. The food was brought to us on time and it tasted good. I felt at complete ease during my stay here.